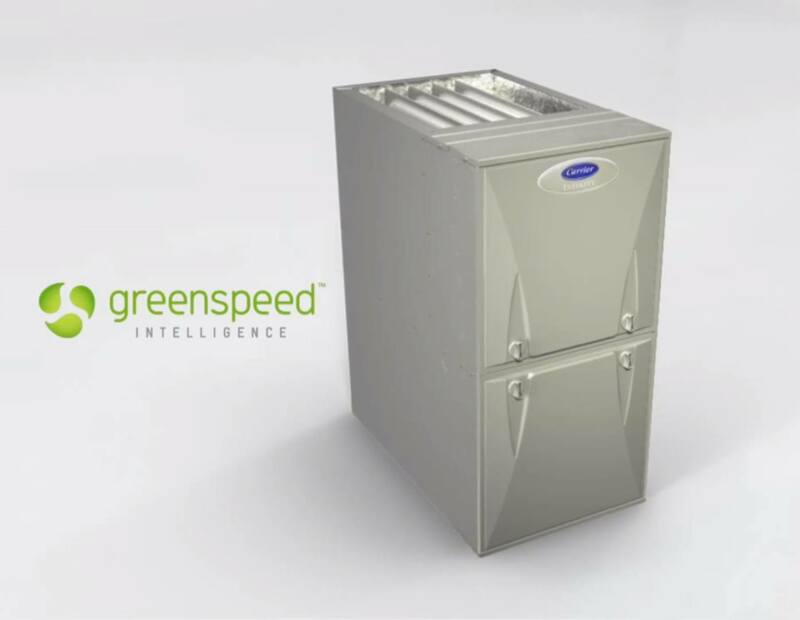 Unveiled at the Greenbuild 2011 International Conference and Expo in Toronto, the new Infinity gas furnace line with Greenspeed™ intelligence combines modulating and variable-speed technologies with a communicating control system to constantly adapt to a home’s conditions. The furnace line will deliver precise comfort with reduced energy use, and is the most energy efficient furnace in Carrier history, with an Annual Fuel Utilization Efficiency (AFUE) up to 98%. Carrier’s investment has also resulted in the quietest gas furnace Carrier has ever built. The furnace’s quiet operation is made possible by technology that distributes heated air at the lowest possible setting for the majority of the heating season. In low-fire mode, where the furnace operates most often, sound ratings are as low as 38.4 decibels, which is less than the sound of a refrigerator. “The introduction of the most energy efficient and quietest furnace in our company’s long history takes Carrier’s natural leadership with environmental technologies to a higher degree,” said John Mandyck, chief sustainability officer, UTC Climate, Controls & Security System.